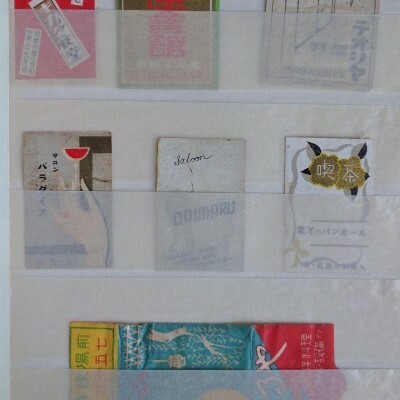 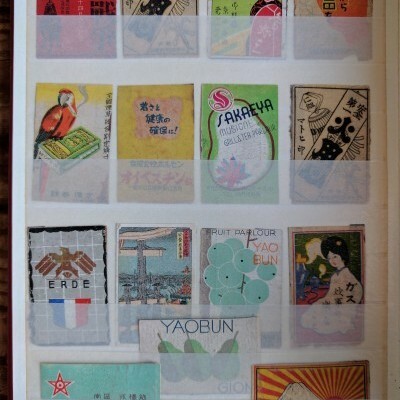 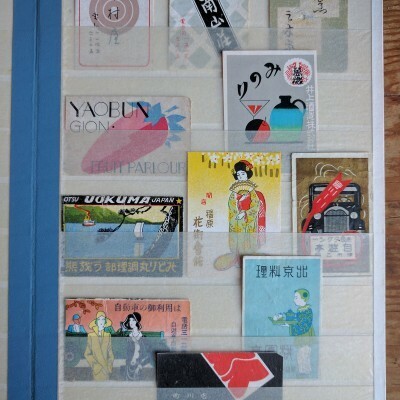 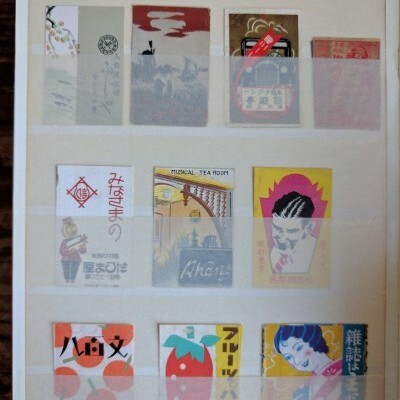 [Japan] [Graphic Design] Collection of 550+ Taishō and Shōwa Matchbox Labels. 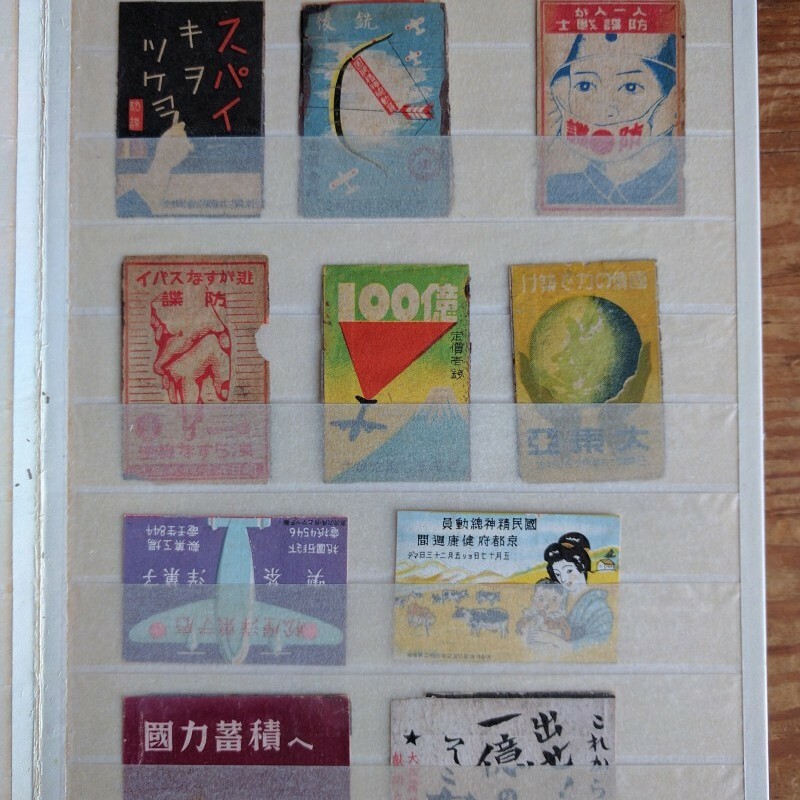 N.p., n.d. [Japan, ca. 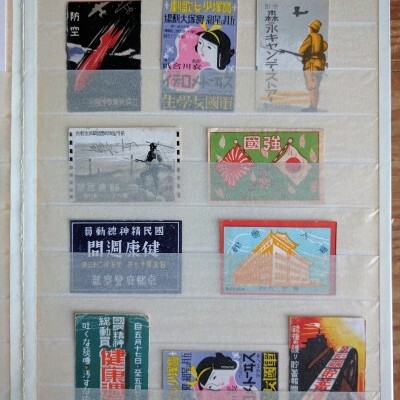 1920-1940]. 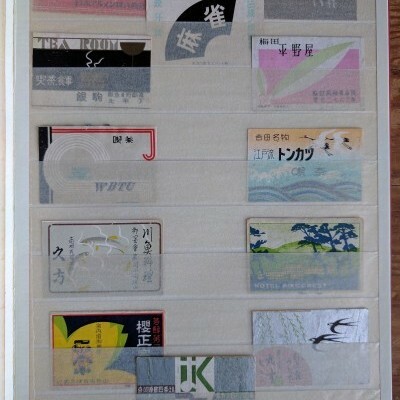 Labels loose, housed in three recent stamp stock books, cloth boards, a few duplicates, <10 mounted to card, small nicks and abrasions as expected, overall very good, colors bright. 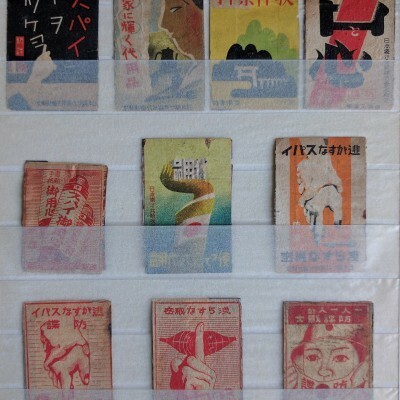 In the early twentieth century, Japanese matchbox label designers were influenced by European styles; first by Victorian and Art Nouveau decoration and later by Art Deco. 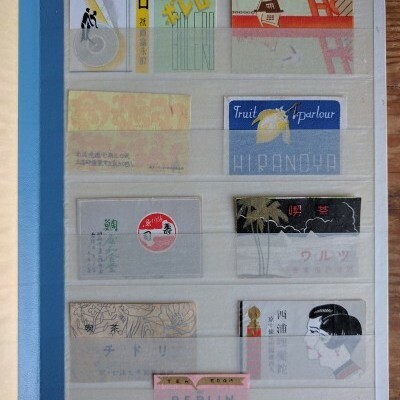 This collection is emblematic of the wide variety of designs that incorporated Western images and fonts into everyday Japanese design culture. 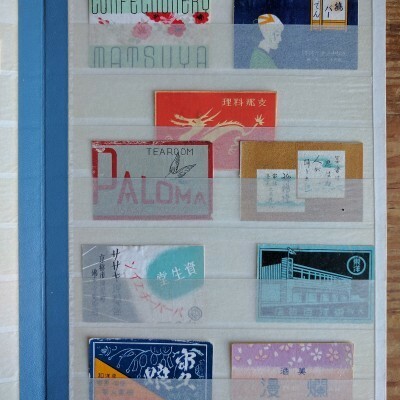 Vibrant colors and striking pictures advertised everything from fruits, cocktails, candy, and watchmakers to billiards clubs, hotels, tea rooms, coffee houses, and more illicit spaces such as “the best place in the town to have a good time in private.” This collection includes approximately 50 unusual examples that feature wartime propaganda (likely in relation to the invasion of Manchuria in 1931).